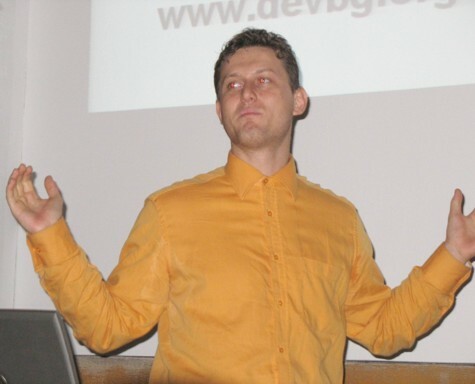 On 26th of September 2007 I and Peter Tahchiev organized the first meeting of the Bulgarian Java User Group (BGJUG) running at the Bulgarian Association of Software Developers (BASD). 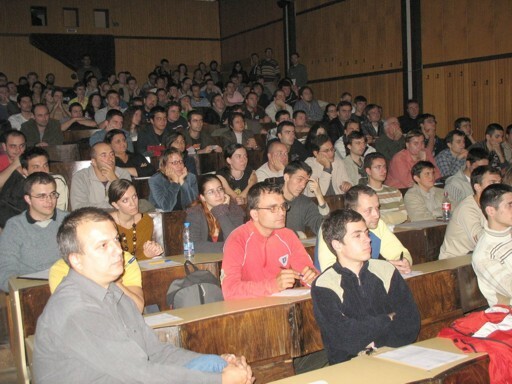 It was attended by about 120 Java developers. It is a good start! I gave a talk on AJAX applications development with the Google Web Toolkit (GWT) technology. I presented the fundamentals of GWT and made few live demonstrations including creating custom widgets and using RPC services. The GWT presentation, the demonstrations and the video recording (in Bulgarian) are available for download from the seminar’s official page. There was high interest to my talk and to the event as a whole. Good job! The BGJUG will meet regularly once monthly, each last Wednesday of the month. I hope the Java community will constantly grow and the events will become better and better.